You can achieve a secure fit no matter how vigorous your workout is, and you have the option to wear one or both buds depending on your activity. With just the touch of a button you can be more aware of your surroundings with hear through, which conveniently filters in the sounds that surround you. 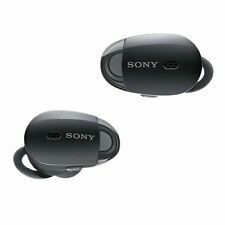 Listen to your favorite music or podcasts on the go with these portable earphones. 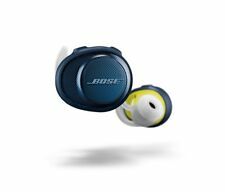 The headphones allow you to listen discreetly so you don't have to worry about bothering others around you. eBay offers you a wide selection, so you can choose the size and type that suits you. How do the earphones stay in place? 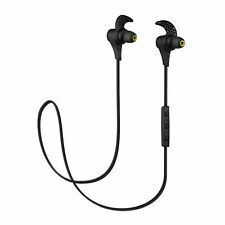 Some of the earphones fit directly into opening to your ear while others have a clip that goes over the top of your ear to hold them in place. 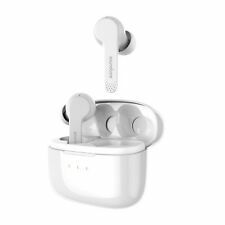 The earphones often come with silicone covers in various sizes to fit over the ends of the headphones so that they fit comfortably at all times. It make take trial and error to see which size silicone cover is right for your ears. 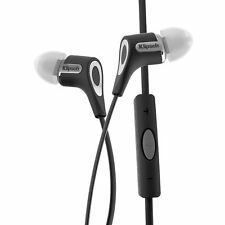 What types of in-ear headphones are available? 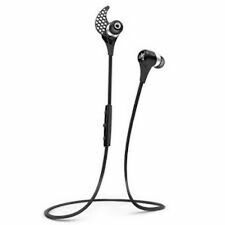 Wireless earphones - Wireless headphones fit directly into your ear and are rechargeable so that you don't have to worry about a cord getting in the way. 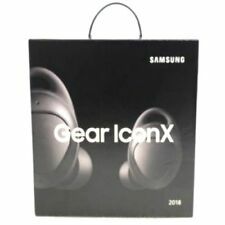 The earphones link to a devices using Bluetooth. 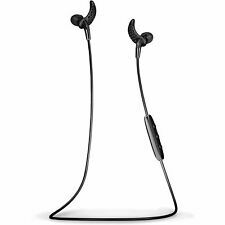 There are wireless in-ear headphones designed for sports, which means they have a support wire that goes from one ear around the back of the neck to the other ear. 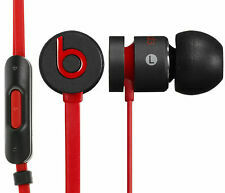 Wired earphones - Wired earphones are often the most affordable option when it comes to headphones. They connect to your device with a wire and get power from the device rather than being battery operated. The cord can get tangled on wired headphones so it's best to store them neatly by wrapping them around a card or with a cord organizer so they don't get tangled. Can you use the earphones for your phone? 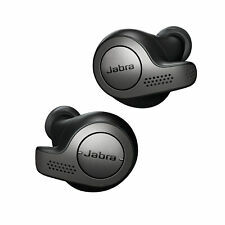 There are earphones with a mic built into them that allow you to talk on the phone while you are wearing them. The devices stop whatever you are listening to and transfer you directly to the call that you are trying to make or are receiving. The mic is built into the headphones or the wire, if they are wired, so you don't have to hold anything to talk into it. The mics are often very sensitive so you can talk at the volume you normally speak at and still be heard. This allows you to have discreet conversations anywhere at anytime. Will the earphones cancel out all other noise? Some of the headphones that are available will block outside noise. If you want to block out noise, invest in noise-canceling headphones. 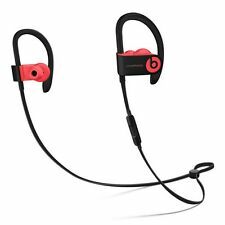 They are designed specifically to block out other noise without having to play your sound so loudly that it hurts your ears. When reading the description for the product it will specify that they are noise canceling.